Glucosamine Sulphate derived from natural marine sources with a minimum concentration over 98.9%. Glucosamine is an amino sugar (amino acid + sugar) that occurs naturally in the human body. It is a critical substrate of all connective tissue. Tissues in the body are continually being broken down and repaired. If the rate of breakdown exceeds the rate of repair, tissues start to degenerate. This is perhaps most commonly experienced in the joints, digestive tract and cardiovascular system, with problems including joint pains and arthritis, digestive problems and vascular disease. Providing Glucosamine can improve the rate of regeneration of these connective tissues. Glucosamine is most well known for its benefits in reducing joint problems. It is a key component of the synovial (lubricating) fluid, bursal fluid, ligaments and tendons of the joints. Numerous studies have shown the benefits of glucosamine in reducing joint pain and inflammation. 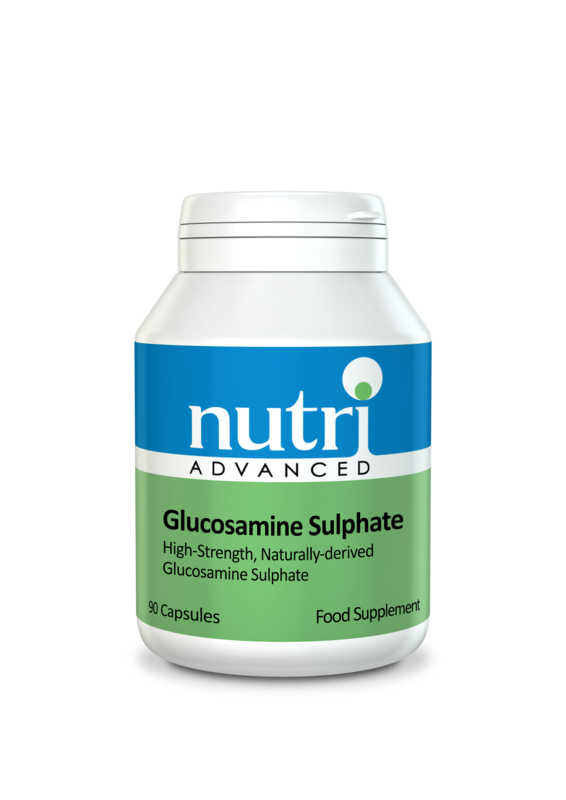 Glucosamine is an integral component of the mucous membranes lining the digestive, respiratory and urinary tracts. Glucosamine is commonly incorporated into a strategy to improve problems in these areas of the body including leaky gut (a cause of food intolerances) and asthma. The walls of the arteries contain glucosamine which provides them with their strength and elasticity, required to withstand the pressure of blood being pumped through them. The rate of production of glucosamine reduces with age as the enzyme glucosamine synthetase becomes less effective. This is one of the reasons why healing becomes slower in the elderly. One capsule 3 times daily or as professionally directed. Not recommended for individuals with shellfish allergy.